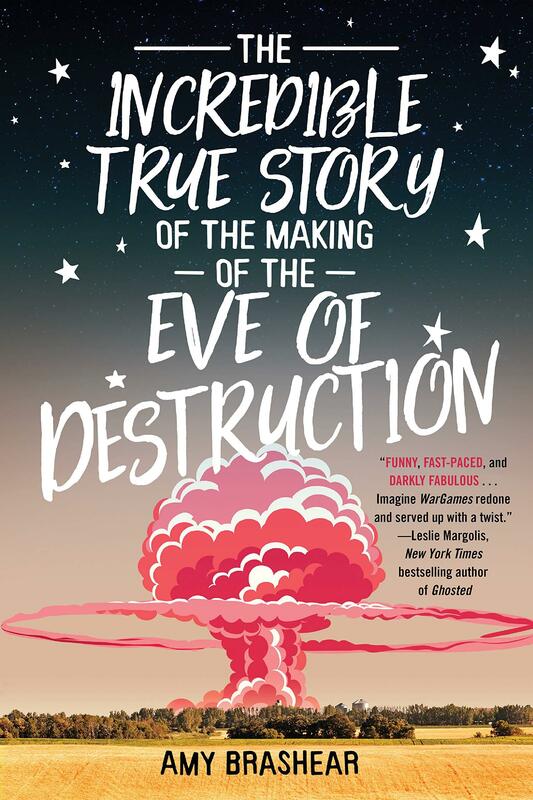 “The Incredible True Story” purports to be a nonfiction book, by Laura Ratliff, published in 2014, about the making in Griffin Flat, Arkansas, in December 1984, of a movie based on a novella “The Eve of Destruction,” set in 1954, which is about the dropping of an atomic bomb on a small American town. In 1984 Laura, 16, was a high school junior, a science nerd who won a radio call-in contest. She knew what MAD meant, identified the father of the atomic bomb and even knew which two isotopes are used in atom bombs. Her prize: she and a friend will get small parts in the movie to be filmed in Griffin Flat, population not much. At first, this is a high school story: the smart kids, the popular kids, the jocks, all with separate sections in the cafeteria. In chemistry lab Laura is forced to partner with a dumb basketball player to keep him eligible. She resentfully does all the work. The heroine’s life in a teen novel is rarely easy, and Laura’s is no exception. Her parents have been the focus of a major scandal since mom was caught in an affair with Dennis, an African-American man. Laura’s father, an air force officer, now lives on the base. Laura misses him terribly and though he visits seldom, he sends somewhat mysterious letters, with a good deal redacted.